All Horizon yachts for sale worldwide are listed below, scroll down to view them. Through the years, Lu has proved himself a visionary in the yachting industry — in 1993, he recognized a demand for high-value megayachts and began building yachts over 80 feet. However, the Horizon factory encountered limits on production scale, so Lu began focusing on increased production capacity through specialized processes and improving product quality. The decision to officially enter the megayacht market was a notable milestone for Horizon and moved the company forward as a luxury yacht builder. Lu continued expanding Horizon in the following years: from 2000 to 2005, he restructured Horizon’s other three companies – Atech Composites, Vision Yachtsand Premier Yacht — and assigned each its own build concentration. The original Horizon Yacht company was also redeveloped to build a more comprehensive range of yachts. Lu then formed Horizon Group as the cohesive organization that interconnects the four companies and allows for the exchange of ideas and resources. In 2007, the Horizon Group Management center was established to help oversee and organize the Horizon Group network. Since its inception in 1987, Horizon has emerged as the leading Asian yacht brand in the luxury megayacht market and is known throughout the industry for its sophisticated craftsmanship, superior build techniques, and innovative technology. Horizon also contributes to one-third of the Taiwan yacht industry total export quantity and has elevated Taiwan as one of the world’s top five luxury megayacht building nations. Horizon has been honored as “Best Asian Motor Yacht Builder” 6 years in a row and is the first and only member of SYBAss (Superyacht Builder’s Association) from the Far East. 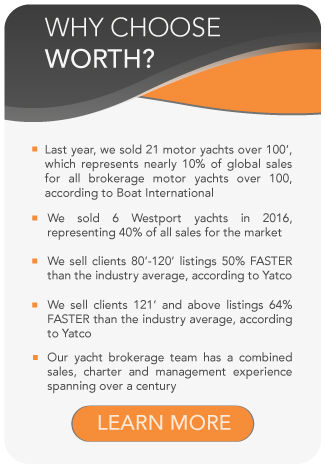 Contact us today to explore our available Horizon yachts for sale, or to discuss a Horizon new-build.